The past couple of weeks have been intense. I have been pleasantly surprised to see not one, but multiple signs that political leaders around the world appear to have a more balanced view of nuclear power safety. But at the same time, we have seen two recent announcements about withdrawals from on-going projects. The negative announcements involve projects in the United Kingdom and Bulgaria. In the case of the former, the German firms RWE npower and E.ON announced that they will not go ahead with developing nuclear power plants in the UK, specifically, at Wylfa in North Wales and Oldbury-on-Severn in Gloucestershire. In the case of the latter, Bulgaria announced that it is abandoning plans to build a nuclear power station at Belene. In both cases, there have already been indications that there may be ways to resuscitate the projects. Therefore, these announcements are certainly serious setbacks, but for the moment, the final verdict is not in. On the plus side, within a few days, a number of government leaders have made statements indicating varying degrees of support for nuclear power--or at the very least, acknowledgement of its necessity at the present time. This brings me to the final area where we’ve made progress—a renewed commitment to harnessing the power of the atom, not for war, but for peaceful purposes. After the tragedy at Fukushima, it was right that nations moved to improve the safety and security of nuclear facilities. We’re doing so in the United States. As we do, let’s never forget the astonishing benefits that nuclear technology has brought to our lives. Nuclear technology helps make our food safe. It prevents disease in the developing world. It’s the high-tech medicine that treats cancer and finds new cures. And, of course, it’s the energy—the clean energy—that helps cut the carbon pollution that contributes to climate change. Here in South Korea, you know this. As a leader in nuclear energy, you’ve shown the progress and prosperity that can be achieved when nations embrace peaceful nuclear energy and reject the development of nuclear arms. With rising oil prices and a warming climate, nuclear energy will only become more important. That’s why, in the United States, we’ve restarted our nuclear industry as part of a comprehensive strategy to develop every energy source. We’ve supported the first new nuclear power plant in three decades. We’re investing in innovative technologies so we can build the next generation of safe, clean nuclear power plants. And we’re training the next generation of scientists and engineers who are going to unlock new technologies to carry us forward. President Obama was delivering his message on the world stage, but it certainly should be a signal of his intentions for the US. At the state level in the US, Gov. Jerry Brown of California is reported as saying that he would give serious consideration to a proposal for a nuclear power plant if one should cross his desk. There are no such proposals floating around right now, but nevertheless, it is a welcome sign that a state official can get beyond the daily images of the Fukushima accident and acknowledge that nuclear power can have a roll to play. On the other side of the pond, in the UK, the leaders of several local government councils around Dungeness have called for a "new look" at a third nuclear power plant on the Dungeness site. The issue at Dungeness is complicated by habitat considerations, but the locals recognize the positive impact Dungeness has had on the local economy, and believe that new power can be implemented safely and in an environmentally-responsible manner. And finally, looking across the Pacific at the country which should rightly have the most concern about nuclear power following the Fukushima accident, we are seeing that some of the governors and mayors in Japan are willing to consider the restart of nuclear power plants in their jurisdictions. Of greatest significance was the fact that "nine mayors were willing to approve restarts on condition of added safety assurances or steps." All the governors who responded to the survey (11 of 13 with nuclear power plants in their prefectures) and eight other mayors are reported as saying that they "wanted safety assurances and/or a complete investigation of the accident." While all of the above are statements and not final decisions, they are signs that the political leaders in several countries and at several different levels of government are taking a realistic and pragmatic stance in their considerations of nuclear power. I recently had several excellent comments on my March 2, 2012 blog on funding for nuclear engineering education. In that blog, I had expressed my dismay that DOE and NRC the 2013 Federal budget request had zeroed out funding for nuclear engineering education programs. I had expressed the hope that funding would be restored by Congress as it considers the budget request and had suggested that people make their views known to their Senators and Congressmen/women. The comments went beyond what I had written. Specifically, they provided some thoughts on the issues associated with industry funding of nuclear engineering programs. All of the commenters bring expertise beyond my own to the table. Since I'm not sure all the readers of the original blog will go back and read the comments, I thought I'd highlight some of the thoughts in a new blog, and add a couple more of my own thoughts. • It is inconsistent of the Administration to take credit for supporting new nuclear power plant construction--which guarantees that we will need more skilled nuclear engineers for the foreseeable future--while at the same time cutting off the academic pipeline. • The government believes that they have "primed the pump" enough, as enrollments have increased. The government thinks it is now industry's turn to continue the needed support, and "political demagogues" consider funding nuclear education to be a form of "corporate welfare"--even though the money goes to students and universities, not to corporations. Having funding tied to a specific industry--particularly the nuclear industry, which is not universally loved--makes it an even harder sell. • It would be great for the nuclear industry to step up to the plate by increasing its support for nuclear engineering programs and not rely so much on the government. By and large, however, industry is under pressure to control costs and justify expenses, and it is a hard sell in the boardrooms when the goal is a rather nebulous "assuring a pipeline of trained engineers." • The same commenter noted that the situation is different when looking at the associate degree level. There is increasing support for industry for nuclear training in technical schools. However, this doesn't address the need for nuclear engineers. • Of particular interest to me was one comment about NSF funding for students. I hadn't thought about NSF funding for a long time. As far as I know, NSF funds students in just about all other science and engineering disciples. Nuclear engineering has long been separated out to be funded by DOE and NRC (and, as the commenter notes, NNSA). The commenter notes that the reason is that NSF "doesn't have the personnel to judge the merits of the applications." I'm not sure if that is the full reason or if there are other factors, but that is not important for this discussion. What is important is that the fact that nuclear engineering is treated differently by the US government tends to lead to disparities such as we are now seeing, where the nuclear engineering support programs are treated differently than those of other disciplines. These comments provide excellent additional perspective to what I wrote, and I thank all the commenters for taking the time to send their thoughts. All of them are strong supporters of nuclear engineering education and echoed my concern about the funding of nuclear engineering programs and the importance of support, in one way or another. I can only hope that our collective voice will be heard. So much is being published for the first anniversary of the Fukushima disaster that I wonder if I can add much that is new or different. Still, since I've been so heavily engaged in the follow-up to the accident over the past year, I can't help but want to summarize my own thoughts. I hope they prove useful to others. For the communities surrounding the nuclear power plants, this accident was a disaster of monumental proportions. The area was struck by an earthquake and a tsunami, both of nearly unprecedented magnitudes. Thousands were killed, and whole towns were wiped out. On top of that, the accident at Fukushima Dai-ichi caused the evacuation of tens of thousands of people, and devastated the economic prospects of the local farmers and fishermen. For Tokyo Electric Power Company (TEPCO), which owned the plants, the financial implications are enormous, and there are still questions about the future of the company. And for Japan, the accident had a strong negative impact on the economy, as they struggled over the year with insufficient electricity, higher-priced substitute generation, and the resulting reductions in manufacturing. Outside Japan, the accident had consequences of a different sort. The fears of the general public about radiation were rekindled. The anti-nuclear community was re-energized in its campaigns against nuclear power. And around the world, the nuclear community began the painstaking process of assessing the causes of the accident and making changes in the rest of the nuclear fleet to prevent a similar disaster. One year later, I have some concerns about the future, yet my overall impression is not negative. Fukushima may have changed the future of nuclear power, and some of the changes are painful, but other changes are actually very positive. 1. For the most part, the media properly drew a distinction between the deaths from the earthquake and tsunami (around 20,000) and immediate deaths to members of the public from Fukushima itself (0). While questions about possible longer-term fatalities remain, most reporters got the message about the immediate impacts. It is true that a few people have massaged data to show fatalities even in the U.S., but most responsible journalists seem to have recognized that these assertions are not credible. 2. Public opinion, as usual, was very mixed, but I was pleasantly surprised that most surveys show that public opinion has generally held up pretty well. There are variations by country, region, and demographic, and public support has trended somewhat downward. However, considering the amount of attention and coverage given to the accident, I find it a positive sign that public opinion has held up as well as it has. There are probably a number of reasons for this, including continuing concern about global warming. 3. Despite initial predictions that this accident would lead to the demise of nuclear power, only a few countries have taken drastic action to shut down existing reactors. It is notable that most of these countries are in Europe, where they have the distinct advantage of being part of an interconnected grid and being able to make up for the loss of their own nuclear power by purchasing nuclear-generated electricity from other European countries. The situation in Japan is, of course, unique. Most of their plants are now shut down. The general opinion is that many will be started again, although the mechanism for addressing the concerns of the local jurisdictions that must approve restart are uncertain. Most other countries that have nuclear power plants have indicated that they will continue to operate. 4. It is even more impressive that many of the countries that have been considering nuclear power are also continuing to explore the option. While several countries have halted their efforts, that is really no surprise. Most observers, myself included, have long asserted that some of the numbers we had been hearing--upwards of 60 or so countries expressing "interest" in nuclear power--were unrealistic. I fully expected many of these countries to drop out somewhere along the line, although of course, I couldn't have predicted the timing and reason for their decisions. 5. The situation is still fluid, and there could be more shutdowns. The best guess is that the number will be limited, but there are several plants in the US which have been the targets of violent anti-nuclear rhetoric for a long time. Plants needing their licenses renewed are particularly vulnerable. There is no denying that the anti-nuclear people have found new energy and new ammunition. Some of the plants have some characteristics that are superficially similar to the Fukushima plants--especially early BWRs, plants sited along seacoasts, and plants in earthquake zones. I say superficially because the required upgrades for the older plants were different in Japan and the US, and the specific natural hazards vary from site to site, but this case will have to be made convincingly in each relicensing proceeding. 6. The Fukushima accident points to the need for profound changes to the Japanese nuclear regulatory system--and will likely force other regulatory systems around the world to be more independent and transparent. For Japan, this change will be a difficult one, as the current system is endemic to the entire Japanese bureaucracy, but it is an important and necessary reform. 7. The general consensus is that the Fukushima accident will result in safer nuclear power plants around the world. Every country that had nuclear power plants reviewed its requirements in light of the accident and conducted "stress tests" for the plants. Many are requiring some forms of upgrades to address multi-plant vulnerabilities and long-term station blackout. These upgrades will provide improved defense in depth for a variety of possible incidents, not only earthquakes and tsunamis. 8. It is likely that the accident will affect the choice of new reactors in the future, as well as their siting. There was already an expectation that newer reactors would incorporate more passive safety measures. Existing designs such as the AP1000 are a move in that direction, and future reactors, including some of the small modular reactors, should provide additional enhancements to safety. So on balance, it is clear that the Fukushima accident had profound effects on the nuclear industry worldwide and on the future of nuclear power. However, contrary to early expectations, the effects are not leading to the demise of nuclear power, but rather, to improvements in safety of operating reactors and to designs for future reactors that reflect the lessons learned. This is, perhaps, the silver lining in what has been a very dark cloud. Two related pieces of news crossed my desk yesterday. Both have to do with decisions and actions by US entities in the follow-up to Fukushima. 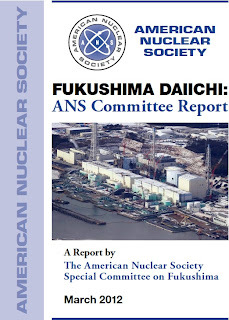 The first news item was the release of a study of the Fukushima accident by the American Nuclear Society (ANS). (Conflict-of-interest alert--I'm a former President of the ANS.) The study, chaired by former NRC Chairman Dale Klein and University of Wisconsin Professor (and President-Elect of the ANS) Michael Corradini, provides a review of the accident and makes some recommendations. Particularly noteworthy is a conclusion that has been widely circulated in the press that the report concludes that emergency zones around nuclear power plants "should not be based on arbitrary mileage designations," and that the necessary changes "in some cases could expand the standard 10-mile evacuation zone." Unfortunately, these statements do not appear in the report itself. The report contains only a more neutral statement on emergency planning: "﻿The U.S. nuclear community recognizes the need for a clear approach to emergency planning in case of a serious accident. We recommend that the NRC work together with other agencies and industry to develop a more risk-informed approach to emergency planning for U.S. NPPs." This neutral statement is correct, but it skirts the very points that make the press reports compelling. In trying to track down the source of the quotes, I discovered that ANS developed a set of talking points for the media events. The talking points go a bit farther. The quote about the arbitrary mileage designations comes from the talking points, but the specific comment about possible expansion of the 10-mile zone does not. Rather, it seems to have come from an Associated Press interview with one or both of the primary co-authors of the report. I was especially interested in the conclusion about the 10-mile zone because it has been my observation that many people in the media fail to draw a distinction between the ANS and industry groups such as the Nuclear Energy Institute (NEI). The report itself takes pains to mention the distinction, but critics might point out that most of ANS's positions are aligned with industry interests. I am glad to be able to point to a statement by ANS that provides evidence that the ANS is--as it should be--willing to take positions, when warranted, that could favor more stringent requirements. I only wish they had included this discussion in the report itself. The second news item was a report that the Union of Concerned Scientists (UCS) is criticizing industry, claiming that industry is trying to skirt new NRC requirements that haven't even been finalized yet. Specifically, UCS is taking aim at the utility industry for implementing improvements to the current fleet of reactors as a response to the Fukushima events prior to the publication of final NRC requirements. This one is puzzling, as I more often find the UCS and other critics of the nuclear industry complaining that the industry is dragging its feet! In this case, the industry is getting out ahead of the curve, and they are still being criticized. The point of the UCS criticism, as I understand it, is that industry is racing to stay ahead of requirements the Nuclear Regulatory Commission (NRC) might require in the expectation that they will be able to use their political influence to avoid other, possibly more costly, changes. All I can say is that this presumes a lot. It presumes that the utilities are acting primarily to position themselves for a later political fight, and not to protect their multi-billion dollar investments. It presumes that the NRC requirements will be significantly different and more stringent than what the utilities are doing, even though the barrage of information that has circulated about the vulnerabilities seem to point clearly to certain kinds of actions. It presumes that the utilities will be successful in exerting political pressure to avoid taking safety-related measures, even though the politicians, the media, and the public are all now hyper-sensitive to issues of nuclear power plant safety. Rather than criticism, the nuclear utilities deserve credit for being pro-active on the post-Fukushima changes. After all, NRC repeatedly makes the point that the utilities have the first line of responsibility for the safe operation of their plants. These actions are evidence that the utilities are meeting that expectation. So rather than seeing negatives, I see this week's actions by the ANS and the utilities as demonstrating that major nuclear organizations in the US are shouldering their responsibilities appropriately. Caught in the Budget Debate? When the 2013 budget requests for the coming fiscal year were announced, a number of us were highly disappointed to see that support for nuclear engineering was zeroed out, this time, in both the Department of Energy and the Nuclear Regulatory Commission. It seems to me that in general, it is penny-wise and pound-foolish for a nation to skimp on education. I know the budget is tight and I know there are many other important programs, but we really can't stop looking ahead. The case for nuclear engineering education is particularly important. The current workforce of nuclear engineers is rapidly retiring. During all the years of when nuclear power development was stagnant in the US, the pipeline of new engineers dried to a trickle. Many academic nuclear engineering programs closed their doors, research reactors on campuses were shuttered, and only a small number of visionary students could see much of a future in this field. This is not the first time that the program has been threatened. Several years ago, DOE failed to fund the program. I was no longer working for the government at that time, so can't provide the backroom details, but NRC ended up stepping in and developing its own program to assure continued support of nuclear engineering educational activities. In fact, most of the DOE staff working on nuclear engineering education programs moved over to the NRC. A year or two later, DOE restarted an educational program, which appears to be complementary to NRC's. Now, both programs are threatened. Worse still, this threat comes at a time when the nuclear industry in the US seems to be on the verge of revival. Admittedly, some don't believe that the revival will extend much beyond the few projects that are currently underway. I think that view is shortsighted. However, even if we were not seeing new reactor development, we would still need to support nuclear engineering education to assure sufficient replacements for retiring engineers at currently operating plants and related facilities--and later, for the decommissioning of plants. It is difficult to understand why an agency would seek to save a small amount of money by targeting educational activities in a discipline where it is so important to have a high level of expertise. Some may feel that we can ramp up the educational programs quickly as the need arises, or retrain engineers in other fields. It is not that easy. While some positions can be filled that way, many positions require the in-depth understanding that a full nuclear engineering curriculum provides. Lest I sound too alarmist, I should point out that the zeroing of budget lines for nuclear engineering education does not mean that there will be no support at all for universities. Both the DOE and the NRC have significant research programs, and some research funds have always gone to universities. I am certain the intention will be to continue support through research. However, research funding--even if it increased--cannot be used for all the same purposes. The budget request is only the first step in the budget process. From here, the budget must be considered by Congress. One hopes that some of the supporters of nuclear energy on the Hill will notice this cut and restore the funding. I would encourage those who share my concern to contact your members of Congress and ask for their help in restoring funding for educational programs. 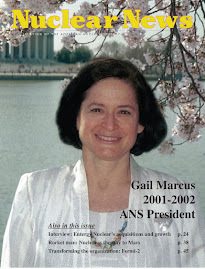 Dr. Gail H. Marcus is an independent consultant on nuclear power technology and policy. She previously worked as Deputy Director-General of the OECD Nuclear Energy Agency (NEA) in Paris; Principal Deputy Director of the DOE Office of Nuclear Energy, Science and Technology; in various positions at the Nuclear Regulatory Commission (NRC); and as Assistant Chief of the Science Policy Research Division at the Congressional Research Service. Dr. Marcus spent a year in Japan as Visiting Professor in the Research Laboratory for Nuclear Reactors, Tokyo Institute of Technology, and five months at Japan’s Ministry of International Trade and Industry. Dr. Marcus has served as President of the American Nuclear Society (ANS) and as Chair of the Engineering Section of AAAS. She also served on the National Research Council Committee on the Future Needs of Nuclear Engineering Education. She is a Fellow of the ANS and of the American Association for the Advancement of Science (AAAS). Dr. Marcus has an S.B. and S.M. in Physics, and an Sc.D. in Nuclear Engineering from MIT. She is the first woman to earn a doctorate in nuclear engineering in the United States. Updated CO2 Data - Another Reason for Nuclear! ANS Nuclear Cafe has moved!